Welcome to Gloversville’s third annual Community Read! So, you know that Mohawk by native son Richard Russo is this year's read title and we have a great line up of programs to celebrate and explore Gloversville's past, present and future. Calendar of Events. Poster. We start on Saturday, March 29th with a 60's kick off from 1-3pm. In addition to special programs, we have several month long activities. Throughout the month we'll have authors associated with the local area on hand to talk about and sign their books. "Walk Our History" As part of Gloversville READS! 2014’s enjoyment of Mohawk by native son Richard Russo we offer this stroll through streets and buildings that we believe had an impression on Mr. Russo during his youth and influenced the places and characters in this, his first book. Video Contest area Middle and High School students. The library laptops will be available for students to use from 3-5pm Thursday, April 17th. Staff will also be on hand for assistance. Check out this flyer for more information. "Gloversville Helping Gloversville" All month long we'll be collecting non-perishable food items for local food pantries. Bring items in and leave them in our Mohawk Grill collection box. Trivia with WENT AM 1340 All month long WENT will test your knowledge of Mohawk and Gloversville with great prizes from area sponsors. Share great images of a person, place or event in Gloversville by uploading it to our “Gloversville READS” facebook page. Your photo could be part of our next fundraising calendar. Tuesday, April 1st 5pm meet author Paul Larner a former employee of the F, J & G Railroad. At 5:30pm he will present a talk about the railroad's history. Wednesday, April 16th 10:30am Book discussion of Mohawk lead by Mary Cuffe-Perez. This book discussion is made possible with public funds from the New York State Council on the Arts, a State Agency. Sponsored by the Mohawk Valley Library System and participating member libraries. Wednesday, April 16th 5:30pm Tech Class with Michael Daly. Geocaching, GPS and Google Earth to help with the historical walking tour. Wednesday, April 23rd 6pm Gloversville's Future hosted by Vince DeSantis. The program will start off with a viewing of The Art of Glove Making, a film produced by Frank Ambrose Sr. that chronicles the process of glove making in Fulton County from raising the animals that provided the hides through care of your gloves after purchase. This will be followed by a discussion about ways we can make Gloversville's future as prosperous as its past. Here it is folks. The moment you've all been waiting for; the unveiling of our 2014 title. ....Mohawk by Gloversville native Richard Russo. 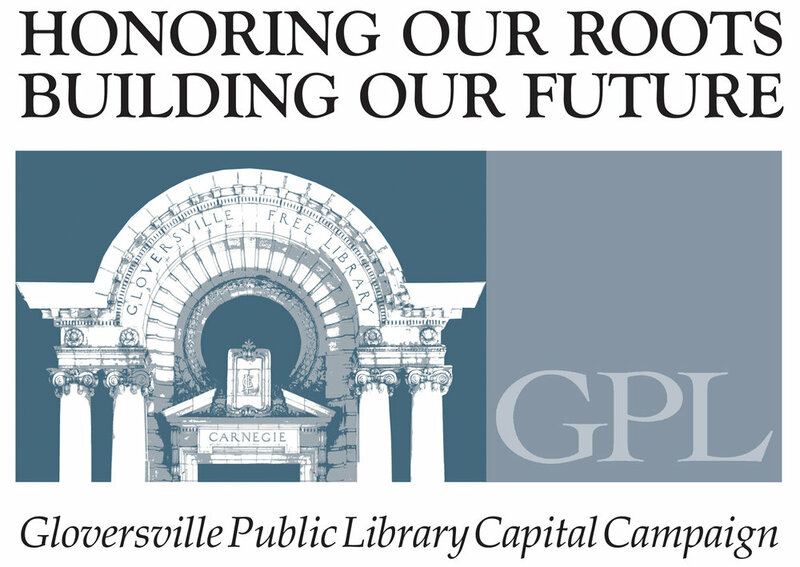 The theme this year will be Gloversville: Past, Present and Future with programs that will explore our community down through the ages. Copies of Mohawk are available at the Gloversville Public Library and Mysteries on Main Street in Johnstown. Programming will begin April 1st and continue throughout the month, including a book discussion of Mohawk on Wednesday, April 16th at 10:30 am. This book discussion series is made possible with public funds from the New York State Council on the Arts, a State Agency. Sponsored by the Mohawk Valley Library System and participating member libraries. The Book Thief by Markus Zusak, The Dirty Life: Farming, Food and Love by Kristin Kimball, Mohawk by Richard Russo and Mrs. Lincoln's Dressmaker by Jennifer Chiaverini. Copies are available at the Library. Voting will take place from January 1-30, 2014. VOTE HERE using a SurveyMonkey ballot or filling out a paper ballot at the Library. (Voting is closed for 2014). The winning title will be announced mid-March and programs will be held in April. A story of 1939 Germany told through the memory of Death as he chronicles the life of a 13 year girl. Liesel is being fostered in a small town outside Munich. Her desire for books, even before she can read, is the core of her meager life. Meet her friends, her neighbors, her enemies and uncover the stories of every day citizens of Germany as they struggle to survive this terrible war. NYC writer Kristin Kimball’s life is changed after interviewing a farmer from Pennsylvania. She picks up her life and moves with him to 500 acres near Lake Champlain to start a new farm. The plan is to grow everything needed to sustain a community; produce, meats, herbs, dairy, grains, even maple syrup. The Dirty Life takes you through the adventure that is their first year on the farm, including their wedding. A first novel of native Richard Russo. Mohawk is set in Gloversville and chronicles over a dozen lives long after the tanneries have started closing down. The story looks at three generations through the eyes of a former high school sports star, his ex-wife and their bright son who doesn’t want to appear too brainy. A fictionalized account of the real-life friendship between Mary Todd Lincoln and her dressmaker Elizabeth Keckley, a former slave. As her dresser and dressmaker, Ms. Keckley had a unique perspective of the events unfolding in the country, and was privy to some of the most private moments within the Lincoln family and between the President and First Lady. Nominations for the 3rd annual community READ were accepted through November 26th and the committee is now reviewing them. Community voting will take place in January 2014 and the final title will be announced in March.